The Board of Directors of Pininfarina S.p.A., meeting this week under the chairmanship of Paolo Pininfarina, approved a draft of the 2008 Financial Statements of the Company and the Group and the Annual Report on Corporate Governance, and agreed to convene an Ordinary Shareholders’ Meeting. The 2008 data of the Pininfarina Group show that value of production amounted to 535.7 million euros, compared with 670.4 million euros at December 31, 2007 (-20.1%). The manufacturing operations accounted for 75% of the total value of production (80% in 2007), with the design and engineering operations contributing together for the remaining 25% (20% in 2007). While the percentage contribution provided by the manufacturing operations decreased, reflecting a 25.6% reduction in cars manufactured (value of production of 403.1 million euros; -24.8% compared with 2007), the service operations performed roughly in line with the previous year (value of production of 132.6 million euros; -1.3% compared with 2007). Consistent with the trend in the quarterly reports, EBITDA were positive, albeit lower than in 2007, amounting to 6.9 million euros at December 31, 2008 (1.3% of the value of production; +18.4 million euros equal to 2.7% of the value of production in 2007). EBIT were negative by 177.8 million euros (-33.2% of the value of production), compared with negative EBIT of 103.3 million euros in 2007 (-15.4% of the value of production). In order to understand more clearly the significant deterioration in EBIT it is helpful to differentiate between operating losses and extraordinary write downs. Accordingly, the loss of 177.8 million euros (103.3 million euros in 2007) can be broken down into operating losses of 58.8 million euros (33.8 million euros in 2007) and write downs required by the impairment test totalling 119 million euros (69.5 million euros in 2007). These write downs were recognised to reflect the fact that the overall production volumes contractually scheduled over the length of the existing production orders needed to be lowered, based on the number of cars already produced and the projections provided in the Industrial Plan approved by the Board of Directors of Pininfarina S.p.A.
Consequently, the carrying value of the assets earmarked for the fulfilment of the production orders was written down to their recoverable value, determined based on estimates of future car sales volumes, as set forth in the Industrial Plan approved by the Board of Directors on November 12, 2008. In addition to these charges, the net assets of Matra Automobile Engineering SAS were reclassified as held-for-sale assets and written down accordingly. The operating loss was 25.0 million euros higher than the loss of 33.8 million euros reported in 2007, due mainly to an increase of 20.2 million euros in the Provisions for risks. Net financial expense totalled 21.6 million euros, up from 10.6 million euros in 2007. The increase of 11 million euros reflects the combined impact of a write down of financial receivables owed by customers, a decrease of 3.2 million euros in interest income caused by a reduction in sales volumes, the late interest of 1 million euros paid to Fortis Bank to settle a pending dispute with Pininfarina S.p.A., an increase of 5.5 million euros in interest expense due to a rise in average indebtedness and higher interest rates, compared with 2007 and charges totalling 1.3 million euros for sundry items. The joint ventures provided the following contributions to the consolidated results: a positive value adjustment of 4.3 million euros, compared with 3.3 million euros at December 31, 2007, by Pininfarina Sverige A.B. 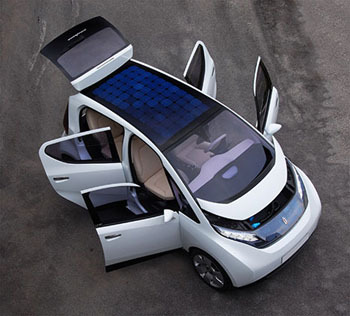 ; and a negative value adjustment of 6.4 million euros for Véhicules Electriques Pininfarina-Bolloré S.A.S. (this company did not exist in 2007). This amount refers for the most part to the derecognition of 50% of the intra-Group profit generated by services provided by Pininfarina S.p.A. to the joint venture in connection with the development of the electric car. The net loss for the period, after taxes of 2.6 million euros (3.8 million euros in 2007), amounted to 204.1 million euros (-38.1% of the value of production), compared with a loss of 114.5 million euros in 2007 (-17.1% of the value of production). The net financial position, while still negative by 100.1 million euros, showed an improvement of 85.4 million euros compared with December 31, 2007, when net indebtedness totalled 185.5 million euros. It is worth noting that the reduction of 180 million euros in medium- and long-term bank borrowings shown at December 31, 2008 was offset by a 9-million-euro write down of financial receivables owed by outsiders, unfavourable changes in working capital requirements penalized by the performance of the industrial operations, a sharp increase in interest expense paid to the Lender Institutions and the cash outlays required for additions to operating assets and equity investments. Shareholders’ equity decreased by 29.0 million euros, falling from 39 million euros in 2007 to 10.0 million euros at December 31, 2008. Aside from some minor items, the decrease of 29.0 million euros is essentially the net result of the loss of the year of 204.1 million euros and an increase in reserves of 180 million euros that reflects the signing of the Framework Agreement with the Lender Banks. The performance of the manufacturing operations was adversely affected by a significant reduction in orders for the car manufactured under current contracts and the end of production of the Mitsubishi Colt CZC caused by litigation and the beginning of arbitration proceedings. The low production volume compared with the size of the existing operational organisation caused major operating losses, the effect of which was compounded by extraordinary write downs. The value of production of the manufacturing operations totalled 403.1 million euros (-24.8% compared 2007) accounting for 75% of the consolidated value of production (80% the previous year). The result from operations was negative by 60 million euros, a significantly larger amount than the loss of 37.2 million euros reported at December 31, 2007. When 108.1 million euros in write downs on assets and financial receivables (69.5 million euros in 2007) are added, the manufacturing operations show negative EBIT of 168.1 million euros, compared with negative EBIT of 106.7 million euros in 2007. In 2008, the Pininfarina Sverige joint venture continued to benefit from the commercial success of the Volvo C70 in Europe. In the United States, however, sales were severely penalised first by the weakness of the U.S. dollar and, later, by an across-the-board sudden decrease in demand, especially during the second half of the year. The RHTU Sverige A.B. subsidiary, which supplies the retractable top for the Volvo convertible, ended the year with lower volume of production and profitability than in 2007, due to the decrease in production of the Volvo C70. In order to maximise the synergies that exist between this company’s operations and those of Pininfarina Sverige A.B., RHTU’s business operations (personnel and contracts) were transferred to the joint venture as of January 1, 2009. RHTU Sverige A.B. is currently being liquidated. The service operations, which include design, industrial design and engineering, reported value of production of 132.6 million euros (134.3 million euros at December 31, 2007). They accounted for 25% of the Group’s total value of production, up from 20% a year earlier. EBIT were negative by 9.7 million euros, as against positive EBIT of 3.3 million euros in 2007. Starting in the second half of 2008, conditions deteriorated rapidly in the French market for engineering services. In order to avoid large future losses, Pininfarina S.p.A. decided to sell its investments in its French subsidiaries, which burdened the reported EBIT of the service operations with a loss of 26.1 million euros (including 17.8 million euros for writedowns of property, plant and equipment and intangibles and losses on sales of equity investments). The positive performance of the styling and engineering operations in Italy, Germany and Morocco (total positive EBIT of 16.4 million euros) was not sufficient to offset the impact of the losses recorded in France. 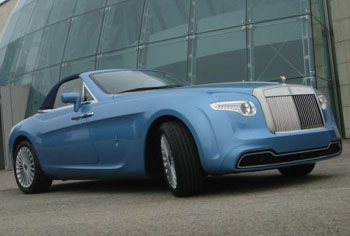 Significant event occurring after December 31, 2008 include the announcement that, on February 26, 2009, the Turin Provincial Tax Commission informed Pininfarina S.p.A. that it had handed down a decision in the tax dispute that was pending before the Commission. The focus of the dispute is the contention that VAT should have been levied on the amounts invoiced in 2002 and 2003 by Industrie Pininfarina S.p.A. (merged into Pininfarina S.p.A. in 2004) to Peugeot Citroen Automobiles, whose tax representative in Italy was Gefco Italia S.p.A. By this decision, the lower court magistrate upheld in part the arguments of the Turin Internal Revenue Agency, finding that the transactions in question were subject to VAT, but ordered that, “in view of the complexity of the case at bar and the difficulties in interpreting the statute in question,” the penalties on the abovementioned disputed VAT be cancelled. As a result, the amount owed by Pininfarina, while the proceedings continue at the next jurisdictional level, was reduced from about 69.5 million euros to about 30 million euros, plus interest. The Directors, comforted in their belief by reports provided by authoritative experts in this field, are confident that the decision handed down by the Tax Commissions will be reversed on appeal, for which the Company will be filing a motion in the coming weeks. The agreement with the Lender Institutions executed with the signing of a Framework Agreement ad its Annexes, which include a Debt Rescheduling Agreement, consists of two phases: the first phase was carried out on December 31, 2008, while the second phase must be completed by June 30, 2009. During the first phase, the Lender Institutions assigned without recourse to Pincar S.p.A. financial receivables totaling 180 million euros. Concurrently, Pincar S.p.A. forgave in their entirety the receivables owed by Pininfarina S.p.A. that it acquired from the Lender Institutions. 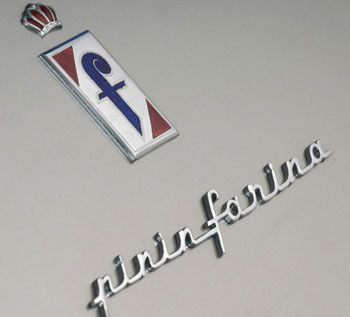 Pincar further agreed to sell its entire equity interest in Pininfarina and use the proceeds from such sale to pay a supplement to the consideration on 1 euro originally paid to the Lender Institutions for the abovementioned transfer of receivables. The second phase could be carried out in accordance with different methods, which are currently being defined by the Lender Institutions and will be disclosed in a timely fashion. The overall effect of the Agreement on the gross indebtedness and shareholders’ equity of Pininfarina S.p.A. will be a reduction in the medium- and long-term bank borrowings totalling 250 million euros, (180 million euros on December 31, 2008 and the remaining 70 million euros by June 30, 2009). The decrease in gross indebtedness that occurred on December 31, 2008 was offset by an increase of equal amount in shareholders’ equity. The same will occur when the second phase is carried out, causing shareholders’ equity to increase by a further 70 million euros. As for the activities required for the completion of the second phase, the Company has been meeting all of its obligations in this area, in accordance with the corresponding contractual deadlines. Moreover, with regard to complying with the requirements set forth in agreements with the Lender Institutions, Pincar S.p.A., in its capacity as a Company shareholder, announced that the Lender Institution chose Leonardo & Co (Banca Leonardo S.p.A.) among the candidates submitted by Pincar S.p.A. to serve as an advisor in the sale of its interest in Pininfarina S.p.A. A formal assignment will be given to Leonardo & Co in the coming days. - The 2009 reporting year will end with negative EBITDA and EBIT. Specifically, while at the operating level the manufacturing operations are performing well in terms of quality and efficiency, their projected results will be penalised by an expected 50% reduction in car sales compared with 2008. The reason for such a large shortfall in orders is the negative performance of the global economy, which is proving to be particularly burdensome for the automobile industry. Even incisive cost reduction programs will not be sufficient to compensate the effect of the reduction in value of production, which will also occur in the styling and engineering area. Consequently, the year will end with in the red but, consistent with the projections of the Industrial and Financial Plan, the loss will be much smaller and not comparable with those reported in 2007 and 2008. - On the balance sheet side, the projected completion of the second phase of the Framework Agreement with the Lender Institutions by June 30, 2009 will inject a further 70 million euros to the Company’s shareholders’ equity, which was already boosted by an addition of 180 million euros upon the completion of the first phase on December 31, 2008. This new capital infusion will enable the Company to absorb the 2009 loss without need for additional transactions. - The debt rescheduling agreement executed with the Lender Institutions and the resulting drastic reduction in medium- and long-term debt that has already occurred and is planned for the near future (for an aggregate amount of 250 million euros, out of a total indebtedness of 558 million euros at November 30, 2008) resulted in a significant improvement of the Company’s financial position. Specifically, the amortisation plans for the remaining medium- and long-term debt, which amounted to about 375 million euros at the end of 2008, run for 6 or 7 seven years, depending on the type of facility, and do not require the Company to pay interest or repay principal from 2009 to 2011. In addition to the future reduction of 70 million euros in debt (Framework Agreement), the Industrial Plan calls for the divestment of some non-strategic assets to increase the financial resources available for debt service (equal to about 36 million euros). Based on the foregoing considerations, even though the Company’s strictly operating activities will not be cash flow positive in 2009, it seems reasonable to project that the existing liquidity will be sufficient to enable the Company to normally pursue its business activities and punctually meet its financial obligations toward all of its stakeholders. At the end of 2009, the net financial position is expected to show an improvement compared with 2008. After approving the Annual Report on Corporate Governance, the Board of Directors agreed to convene an Ordinary Shareholders’ Meeting, which will be held at 10:00 AM, on April 23, 2009, at the offices of Pininfarina S.p.A. in Cambiano (TO), on the first calling, or on April 24, 2009, same time and place, on the second calling. The Meeting’s Agenda, in addition to the approval of the 2008 annual financial statements, includes the election of a Board of Directors and a Board of Statutory Auditors, as the three-year term of office of the current Boards is expiring. The Director Elisabetta Carli submitted her resignation in a letter received on March 21, 2009, due to the consolidation into Segi S.r.l. (a company under the full control of the Pininfarina family) of 99.9% of Pincar S.p.A. (a company formerly owned by the Pininfarina, Carli and Piglia families), which owns 50.6% of the Pininfarina S.p.A. shares. The Board of Directors was informed of the resignation and thanked Elisabetta Carli for her long service on the Company’s Board of Directors, leaving all decisions regarding this matter to the Shareholders’ Meeting convened for approve the financial statements at December 31, 2008 and elect the Company’s new governance bodies.